The KKL Luzern is located in the centre of the city of Lucerne, adjacent to the station, and situated right on the shores of Lake Lucerne. The KKL Luzern is easily accessible by public transport. No matter whether you are travelling by train, bus or boat, you can quickly reach the Culture and Convention Centre thanks to its location in the heart of the city. From Lucerne Railway station, it’s only 100 steps under shelter to reach the KKL Luzern. Thanks to its central location in the heart of Switzerland, Lucerne is best reached from anywhere by rail. 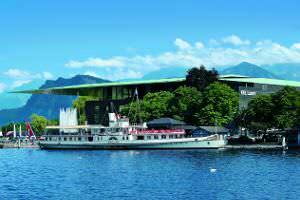 From the platforms at the Lucerne railway station to the KKL Luzern is only a few metres walk. When it rains, you can stroll under cover from the lower ground floor of the railway station into the KKL Luzern. Bahnhofplatz 1 is also the main traffic hub for Lucerne’s bus routes. From here, it takes less than a minute to reach the KKL Luzern. The KKL Luzern is directly located at Lucerne railway station. The city is very accessible from anywhere in Switzerland and can be reached within a short space of time. Various parking facilities are available in Lucerne. 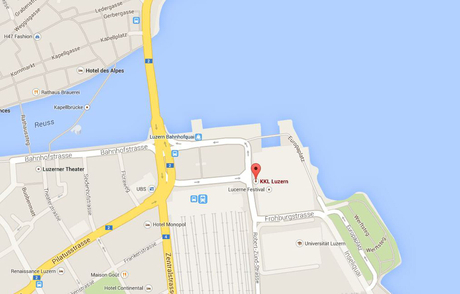 For example, from Bahnhofparking (station parking) 1+2 at Bahnhofplatz 1, you can take the lift directly into the venue. From the airports at Zurich (approx. 1 hour) and Geneva (approx. 3 hours) there is a direct train every hour to Lucerne. Basel-Mulhouse Airport is connected via a shuttle bus to Basel SBB railway station. From there, a direct train also departs every hour to Lucerne (the journey from Basel SBB is approx. 1 hour). 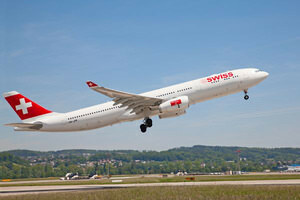 Zurich Airport is approximately a 1 hour drive from Lucerne. The airports at Geneva and Basel are well connected. The KKL Luzern is situated directly on Lake Lucerne. The boat docks are located right next to the Cultural and Convention Centre. For the perfect option, combine your concert visit with a boat ride or even just arrive by boat.